as Joseacute; Martiacute;, William Carlos Williams, Julia Alvarez, Oscar Hijuelos, Cristina Garciacute;a, Piri Thomas, Esmeralda Santiago, and Junot Diacute;az. 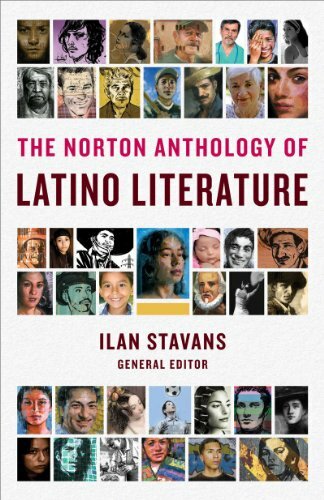 Twelve years in the making, The Norton Anthology of Latino Literature sheds new light on "nuestra America" through a gathering of writing unprecedented in scope and vitality. Ilan Stavans is the author of "The Hispanic Condition", "The Riddle of Cantinflas", & "The One-Handed Pianist & Other Stories" as well as the editor of "The Oxford Book of Jewish Stories" & a dictionary of Spanglish, among other volumes. He has been a National Book Critics Circle Award nominee & the recipient of a Guggenheim Fellowship & the Latino Literature Prize, among other honors. He teaches at Amherst College.